The Yankees are currently experiencing their worst month of baseball after a hot start to the season. The Yanks have lost 10 out of their last 12 games, and yet somehow still find themselves on top of the AL East, tied with the Red Sox. It’s often said that misery loves company, and with the White Sox being losers in six of the last seven, the Yankees may have found the perfect team to play a four game set against to try and get back on track as we approach the halfway point in the season. Jordan Montgomery will get the ball Monday night in Chicago, and will try to deliver for a struggling team. He has done just that in the month of June, posting a 3-0 record with a 2.96 ERA. Montgomery has also pitched into the sixth inning or later in each of those four starts. Montgomery will most likely need to go deep once again, as the bullpen (mostly Tyler Clippard) has been unreliable during this skid. 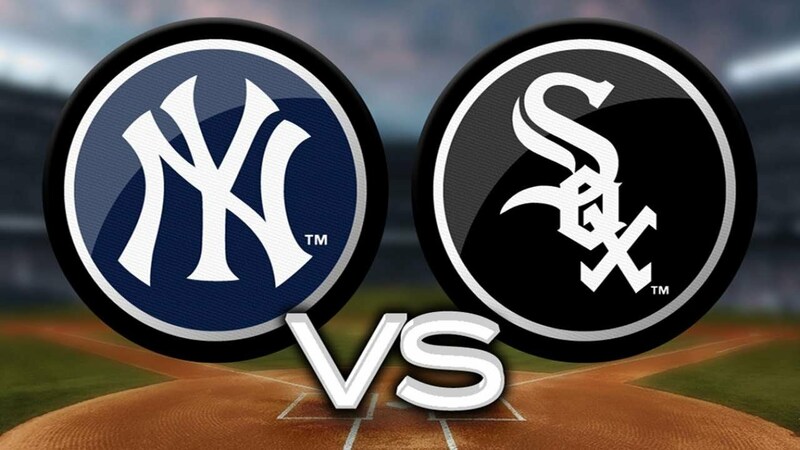 The Yankees will face off vs left handed pitcher David Holmberg, whose last appearance was out of the bullpen. Holmberg has solid numbers this year, and has not done it with overpowering stuff. Holmberg’s fastball sits in the high 80’s, as he relies on his off-speed pitches to get batters out, especially his changeup. It’s safe to say that if Holmberg leaves the ball up to this Yankees lineup, it could mean an early night for him. 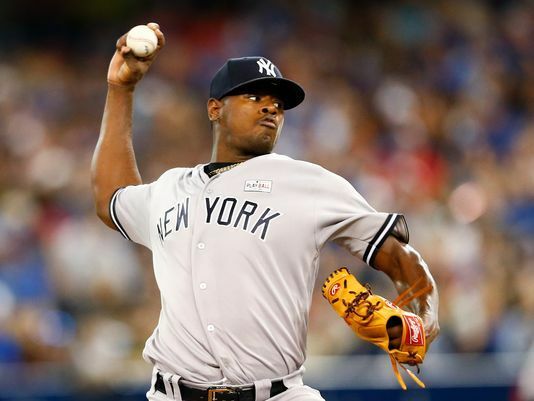 In the second game of the series, Luis Severino will look to have a bounce back start coming off arguably his worst start of the season on Thursday night against the Angels. 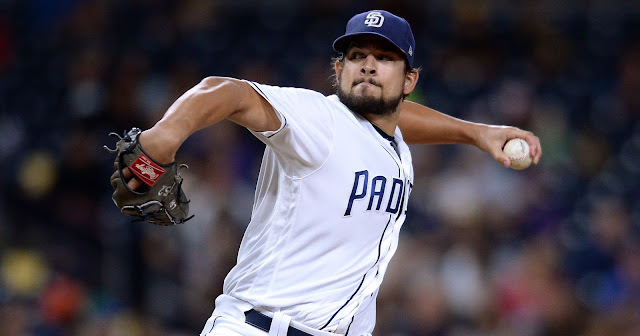 The 23-year-old has been the best pitcher in the starting rotation all season, but has not looked sharp his last two times out, yet facing a below average White Sox lineup should help Severino regain his dominant form. In fact, Severnio faced the White Sox earlier this year at home, and although he got the loss and gave up two home runs, he struck out 10 over eight innings, and only allowed three hits. Jose Quintana has been rumored to the Yankees in trade talks for quite some time now, but on Tuesday night he will be in a White Sox uniform facing a possible future team of his. Quintana had an awful start to the season, seeing his ERA as high as 5.60 at the end of May. However, in June Quintana has looked much better, posting a 2.25 ERA in four starts, plus throwing a shutout and striking out nine in his last start. 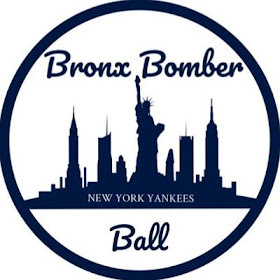 Masahiro Tanaka will get the ball Wednesday night, as he continues to be the most confusing player on the Yankees, only adding to that confusion Friday night after throwing eight shutout innings vs Texas. Tanaka seems to have his top-notch stuff back, even striking out 10 hitters in his lackluster start vs Oakland. The question is not his stuff though, but rather his mindset. The numbers are still terrible for Tanaka, especially his home run totals: 21 in 15 starts. Luckily for Tanaka, Chicago have hit the second fewest home runs in the American League. On the mound for the White Sox will be Carlos Rodon, making his first start of the season after being sidelined with elbow bursitis for the first few months of the season. Rodon is a two-year pro out of NC State, and has had two solid seasons in the big leagues thus far. His career ERA is a solid 3.90, and he will also be the third consecutive lefty starter the Yankees will face in the series, possibly causing some lineup mixing and matching by Girardi. With CC Sabathia still out for the foreseeable future, Luis Cessa will make his third start and fourth appearance of the year, trying to find his first win of the season. Cessa has lost his only two starts of the season, yet did not implode or completely take his team out of the game in either start. Cessa will need better run support than he has gotten, as the offense has failed to score more than three runs in both of his starts. Mike Pelfrey is the only right-handed starter the Yankees are expected to face in this series, and by far the most experienced. Pelfrey is an 11-year veteran, and has grinded out a solid season thus far. Pelfrey’s age has shown though, as he has been unable to make it past six innings in any of his starts. Run support has also been a major issue for Pelfrey, as his team has scored one run or fewer in five of his starts. Despite missing nearly the entire first month of the season, Gary Sanchez is second among major league catchers in home runs, and seems to be hitting his stride as of late. 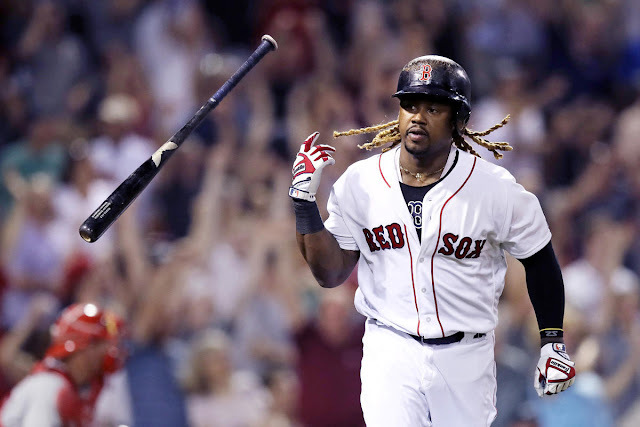 After launching a three-run home run in Sundays loss, Gary is now hitting .348 with 8 home runs and 22 RBIs in the month of June, and has got his average back up to just below .300. Gary has had some struggles behind the plate defensively however, and the Yankees will need him to clean it up if they want to get back to their winning ways. It is always a nice reminder that no matter how poorly the Yankees have played over the last two weeks, Aaron Judge has showed no signs of slowing down and continues to hit mile long home runs. Judge hit his league leading 26th of the year on Saturday, and followed that up with a 2-3 game on Sunday. Judge has received an invitation to the home run derby, but has not decided yet and for now will continue his own personal home run derby in Chicago. The best hitter in the White Sox lineup this season has been Avisail Garcia, who is second in the AL in batting average, one point behind Judge, headed into this series. Garcia has gone 0-4 in each of his last two games, but will look to get back on track in this series and retake the AL batting lead. Garcia is hitting an outstanding .455 vs lefties this season, and will have one to face in the first game of the series. 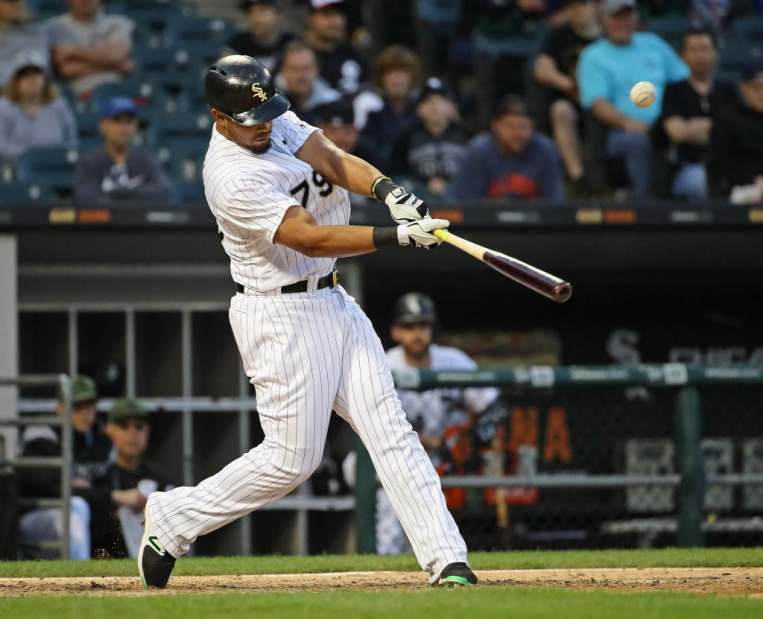 Abreu does not lead the White Sox in average, home runs, or RBIs, but still may be their biggest threat in the lineup. Since his fantastic rookie season a few years back, Abreu has slightly cooled off, but is still producing some impressive numbers, and still on pace to drive in over 100 runs once again. It will be intriguing to see how Girardi manages the bullpen this series, and how often he will turn to struggling relievers over the two horses in the backend Betances and Chapman. 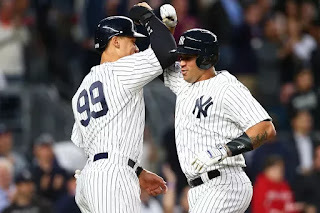 The Yankees are fortunate to still be tied for first place after the way they have played the past two weeks, and will need to play much better or else they will find themselves closer to last place than first.